Mordian 7th Regiment: Shout out - Dreamforge Games Kickstarter! 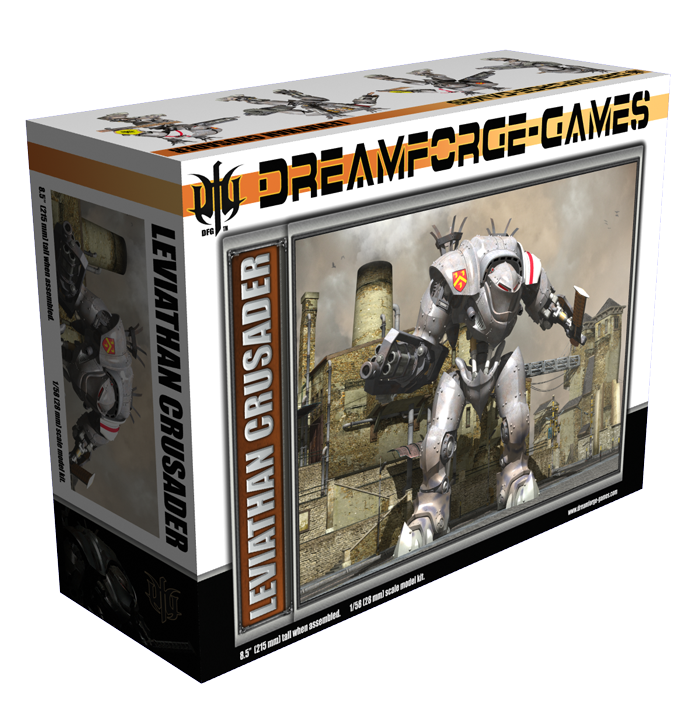 As some of you are aware, Mark Mondragon of Dreamforge Games is currently running a Kickstarter to get his jaw-droppinly awesome Leviathan Crusader (and Eisenkern troopers) tooled in plastic. I unforuntately missed out on the resin kits he did a few months back but am all over the opportunity to get in on the KS deal he has going. For an incredibly reasonable $89 you can get the plastic version of the Leviathan, which is an absolute steal! 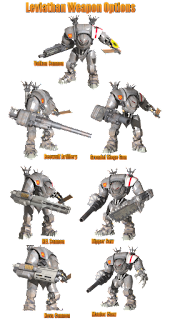 In addition, the Eisenkern infantry are available for a modest $20, and the stretch goals add all sorts of upgrades. 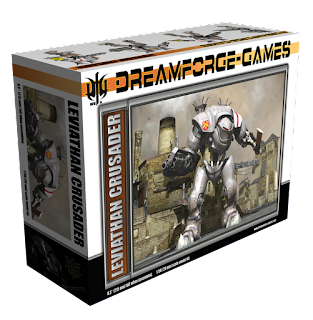 He's also offering a multitude of alternate weapon options as further stretch goal rewards, all of which are swappable on the Leviathan kit. 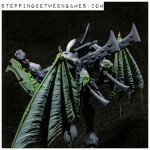 If the Kickstarter really goes well, he's looking at re-tooling the Leviathan Mortis in plastic as well! There's still almost two weeks left on the Kickstarter, so there's plenty of time to get in on the action - I'm really hoping to see this take off, as Mark's work is absolutely top notch, and I'm looking forward to seeing more of his work! This looks awesome! I'm going to go pledge for two right now! ... ok, I backed this project day one... but it's an awesome project and everyone who reads this should say what I did in the first line! Wondering what your thoughts are on the weapons available. 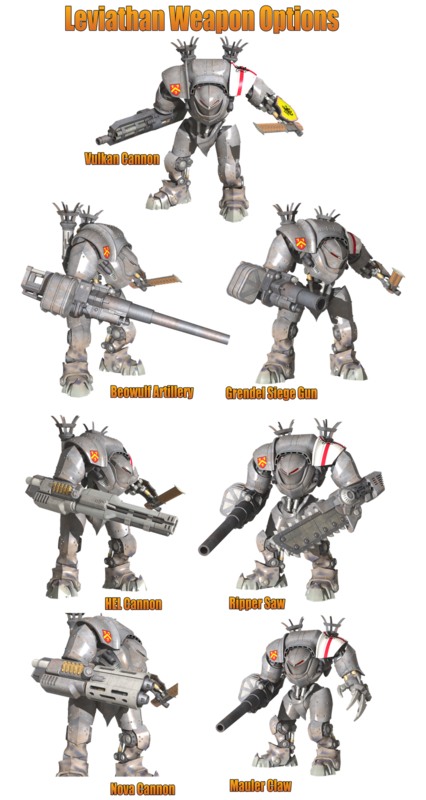 Do they jive with available weapons for use in 40K? @The Inner Geek - Indeed! I'm really excited that he's reached the initial funding level and I'm rooting for it to really succeed! I used to gawp at his website and baulk at the price tag - but this is too good to pass up!!! I have his Leviathan Mortis in resin...WOW it's an awesome kit. I'm sure that in plastic these leviathans would be killer and the room ver conversions would be amazing! Love their kits so much! I played against a guy at Adepticon who was using them in his army. Would love to get my hands on one or two of them. @Oink - Nice! International shipping is terrible going both ways. I always wince when ordering stuff from over on your side of the pond as well. Going in with a friend definitely helps alleviate some of the pain. @LuckyNo.5 - Indeed, I'm really hoping that the KS will spin up high enough that the Mortis will make it into plastic as well, I absolutely LOVE that kit. I'm also jazzed about the plastic kit's conversion possibilities - the resin is awesome, but I'm always hesitant to just carve into it! @Kevin - Nice! They really are beautiful kits, I can't wait to add a couple to my own armies! @Mark - You betcha! I'm really digging the new weapon options as well. Keep up the fantastic work, man! Mordian, I'm confused I really want to pledge to this and get some of these kits, if I pledge for the 89 dollar amount what exactly do you get? And how do you get the optional arms and weapons? The way I understand it is that the 89 dollar level gets you one Leviathan Crusader (with the additional sword, and the potential for more free stuff if the funding goes high enough). Additional weapon options are being opened up for $25 each as the various target levels are hit. I'm going for two Leviathans, and pledged an addition $100 for 4 upgrade weapons (though I'll need to pitch in a bit more for shipping, which I'm a little unclear about). I'm sure it'll become more clear when he puts up the new version of the calculator (there's one on the bottom of the KS page at the moment, but it's a little odd). I believe the weapons are buy 3 get the 4th free. So you might wanna recheck that, M7th.